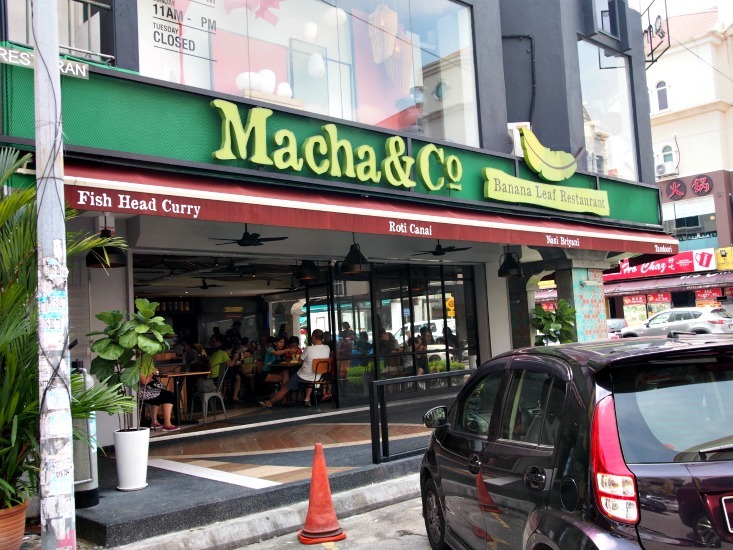 MACHA & CO – BANANA LEAF RICE & MORE! 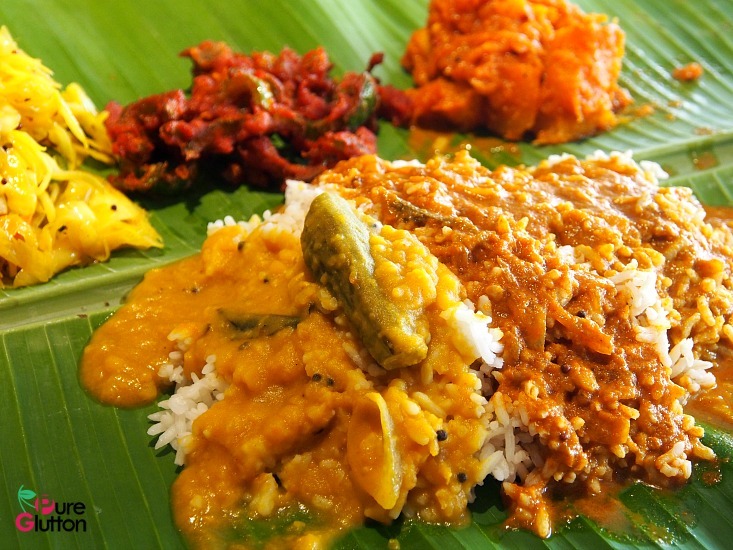 I love Indian food and usually can’t say “no” to Banana Leaf Rice. 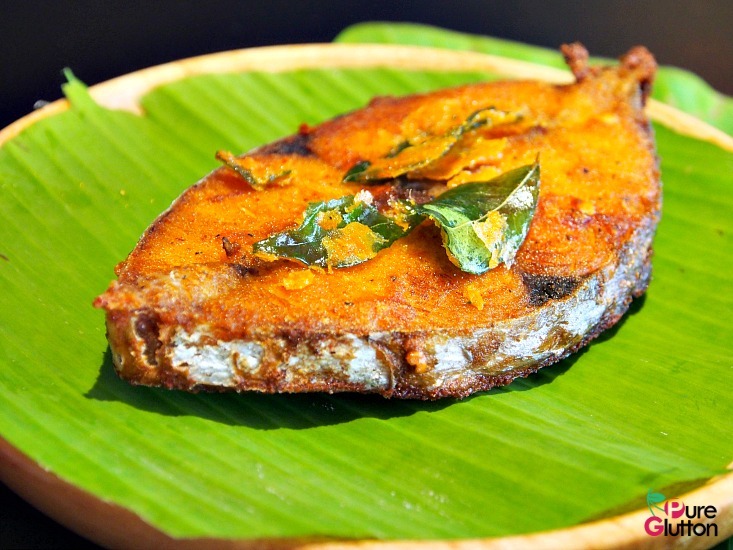 But BLR, to me, must only be eaten for brunch or lunch, never for dinner – it’s just too heavy for a night meal! 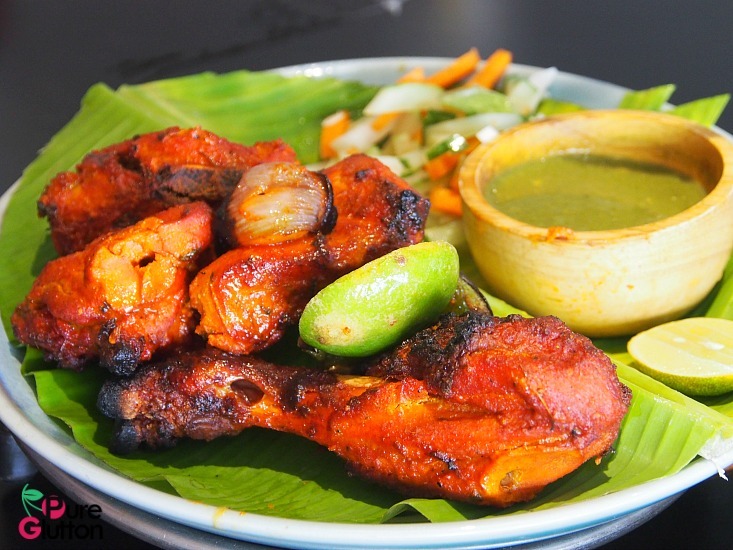 Heavy – because usually at a BLR joint, one tends to get overboard when presented with an array of mouth-watering dishes. That’s exactly how I felt when looking at the menu at Macha & Co, a very comfortable eatery in Kota Damansara serving a variety of Indian/mamak favourites. It’s the kind of place where you “control” doesn’t even figure in the mind when it comes to food ordering. 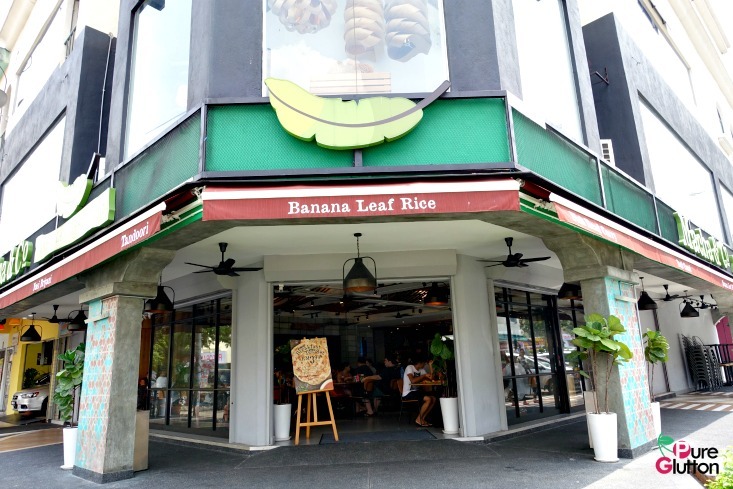 First on the list was of course the Banana Leaf Rice. 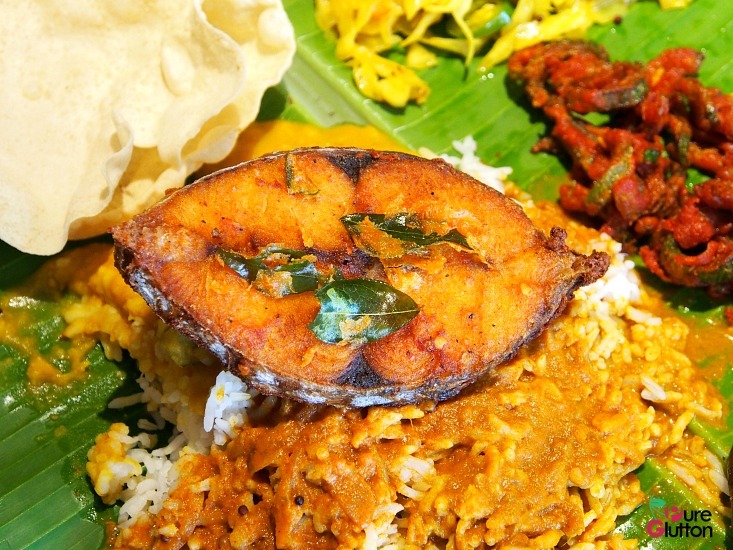 At RM8.90 per set, you can choose either white or brown rice and the guys will come and pile 3 vegetables, acar, a fried salted dried chilli, 2 papadams and flood your rice with chicken/fish/dhall/crab curries until you tell them to stop! 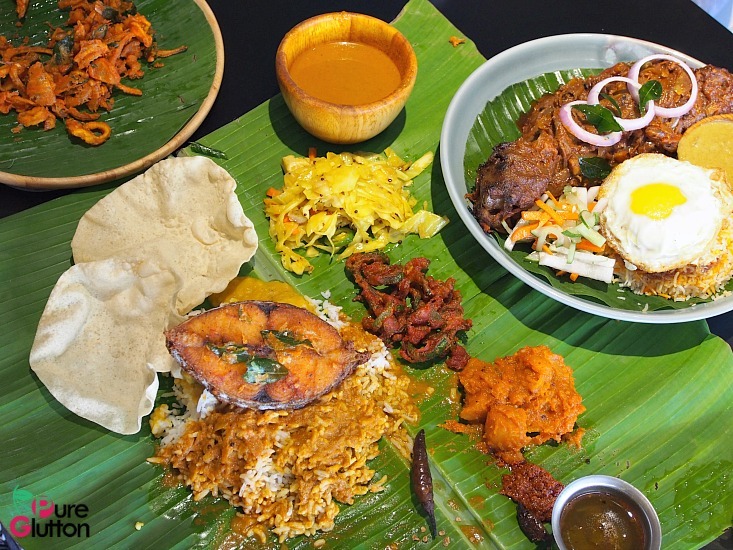 I had to ask them for a bigger piece of banana leaf because I tend to over-flood my rice with extra scoops of curries. 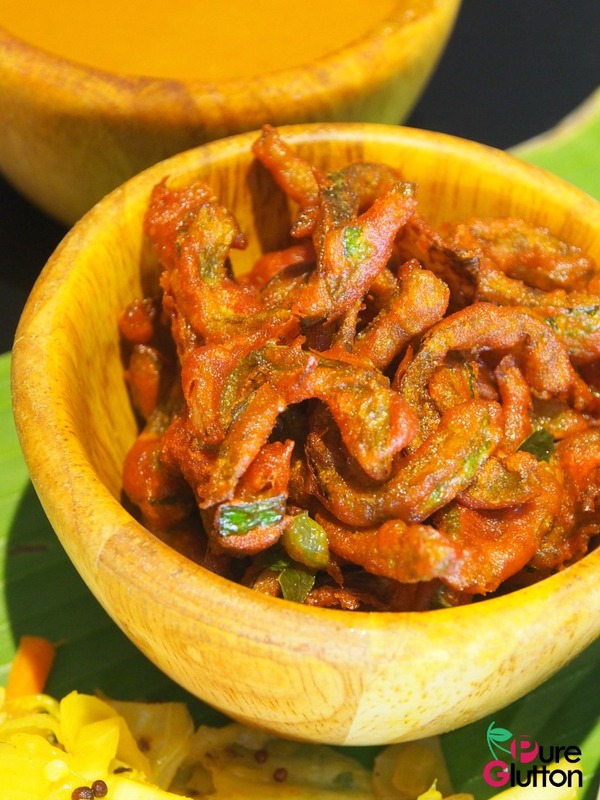 To go with my Banana Leaf Rice, my must-have’s are deep-fried bittergourd but unfortunately that was not available on that day so I had to settle for their Deep-fried Snake Gourd instead, which turned out to be very tasty too. 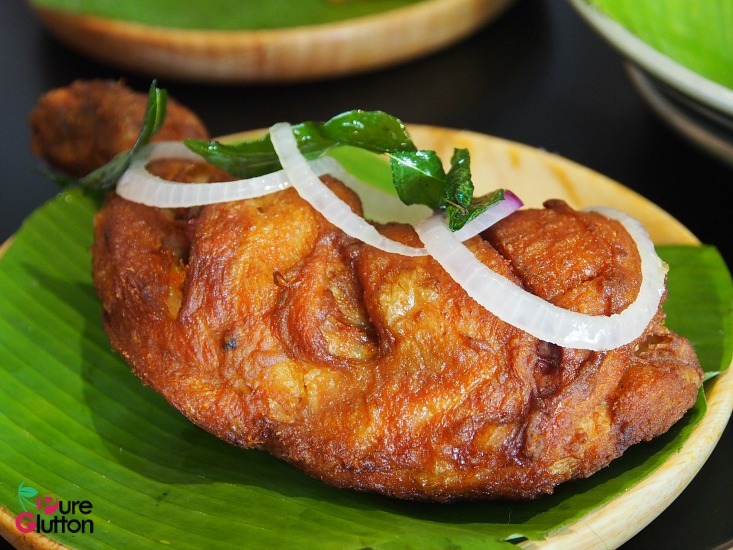 We can never resist the deep-fried dishes Macha & Co did theirs very well. 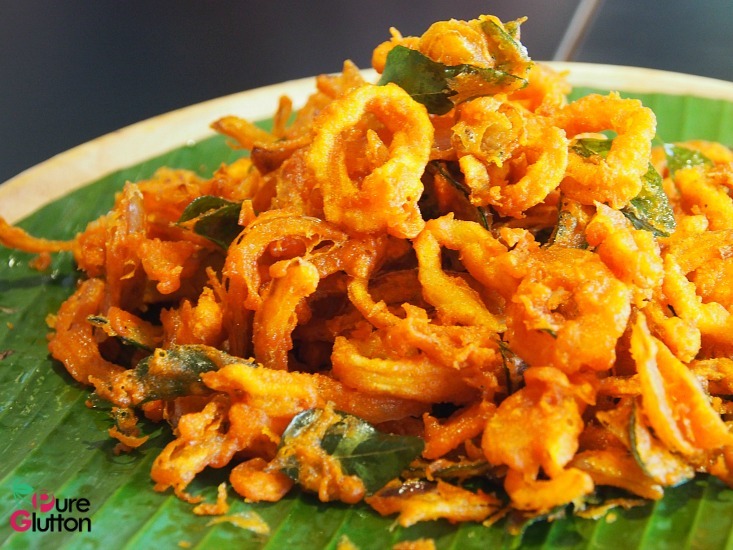 The tenggiri slice, chicken and calamari were all well-marinated and fried to a perfect golden crisp. 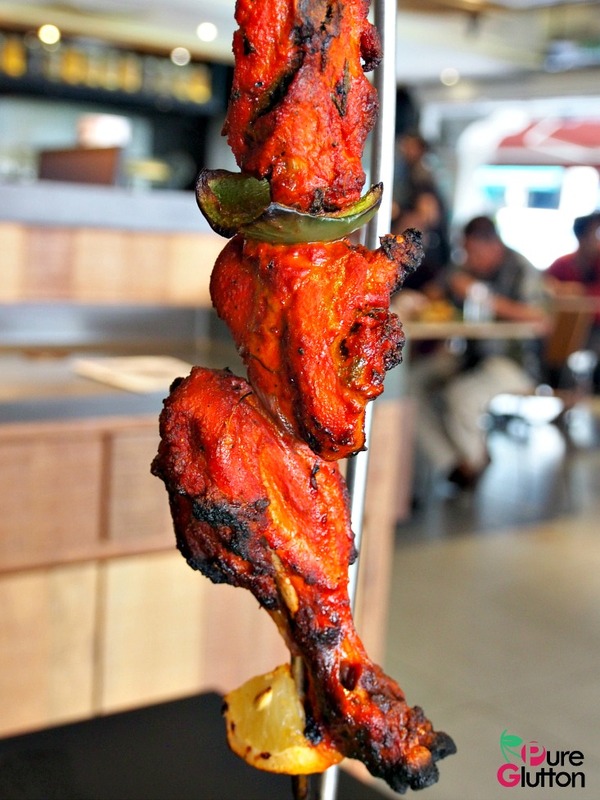 What’s also well executed was their Tandoori Chicken, which was moist and tender. 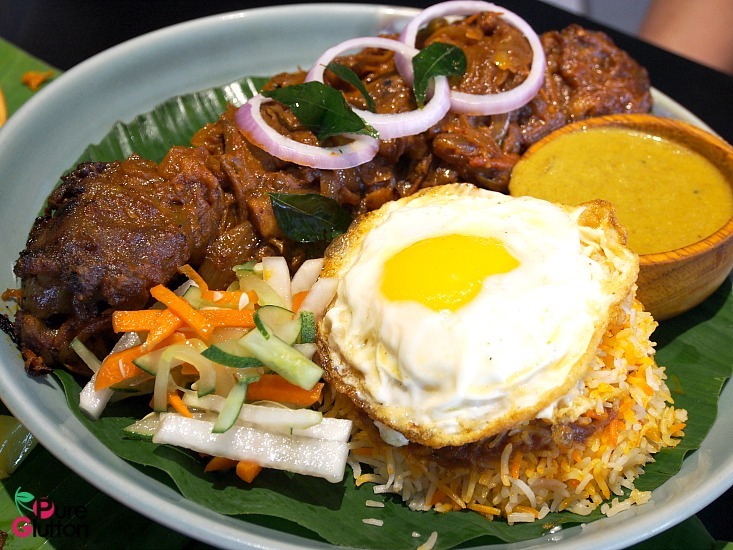 We also checked out their Varuval Fried Rice and Lamb Shank Biryani which we were told, were very popular. Both of these were in very substantial portions and I guess that contributed to their popularity. 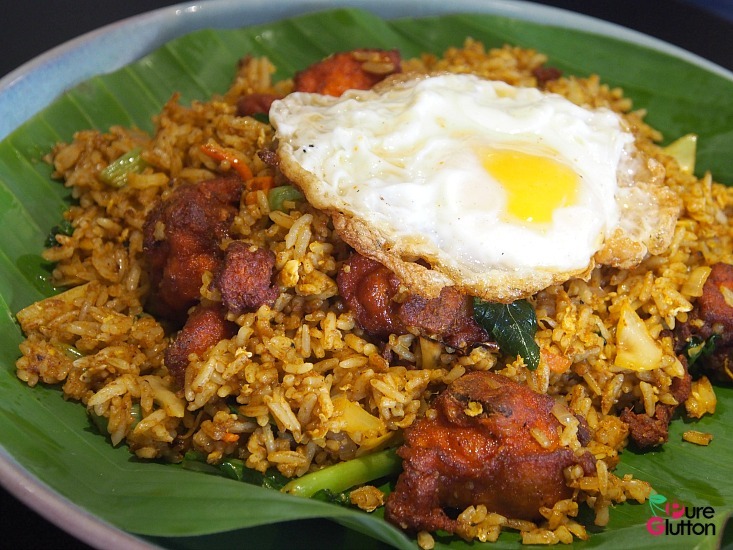 The Varuval Fried Rice was excellent – with generous amount of fried chicken and vegetables tossed in and topped with a fried egg. It’s a complete and tummy-filling meal on its own and at only RM11.90 for that, I think that’s a real steal. The Lamb Shank Biryani was huge and could easily feed 2-3 people. The lamb shank was tender but I felt it needed a bit more marinade as the spices and flavours didn’t quite penetrate into the meat. 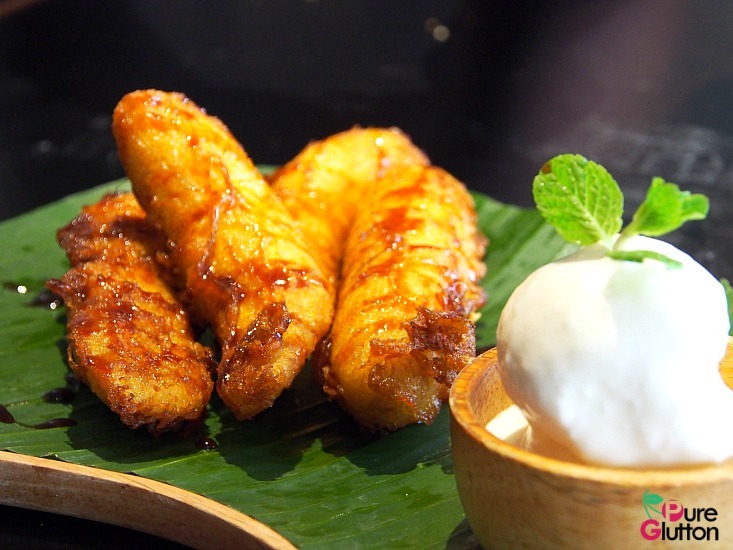 I’m so glad we tried the Banana Fritters with Gula Melaka & Vanilla Ice Cream because it was such a big hit with everyone – including someone who doesn’t eat/like bananas! 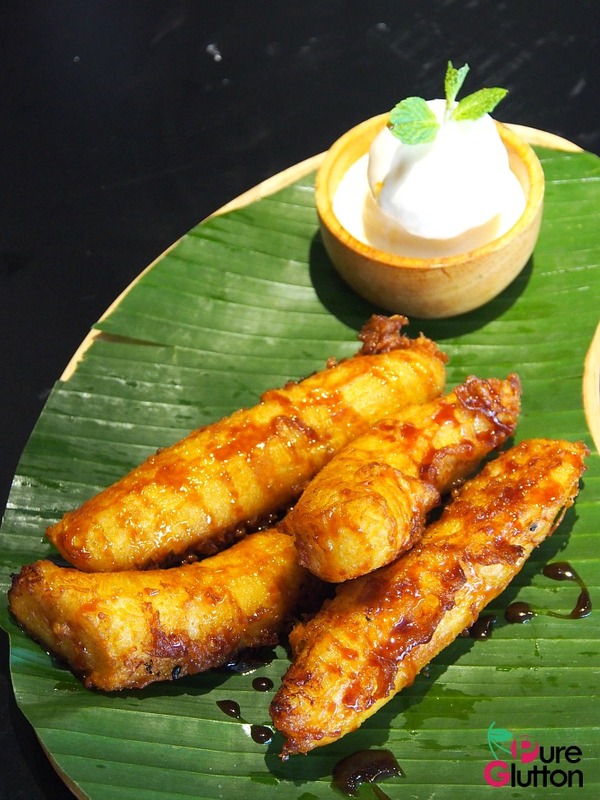 The sweet bananas were encased in a thin crunchy batter and deep-fried and then drizzled with fragrant Gula Melaka syrup with scoop of ice cream served on the side. Now what I really wanted to try was their signature Roti Durian Tissue with Gula Melaka but unfortunately they don’t do roti canai during lunch hours. Oh well, that’s reason enough for returning to Macha & Co another time. 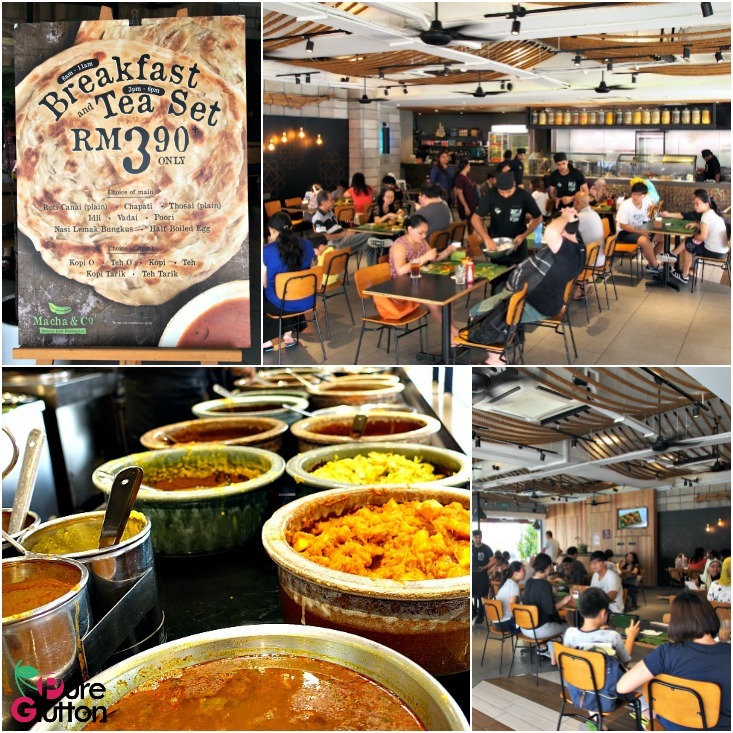 Prices here are slightly above the average mamak eatery but it’s very clean and comfortable. 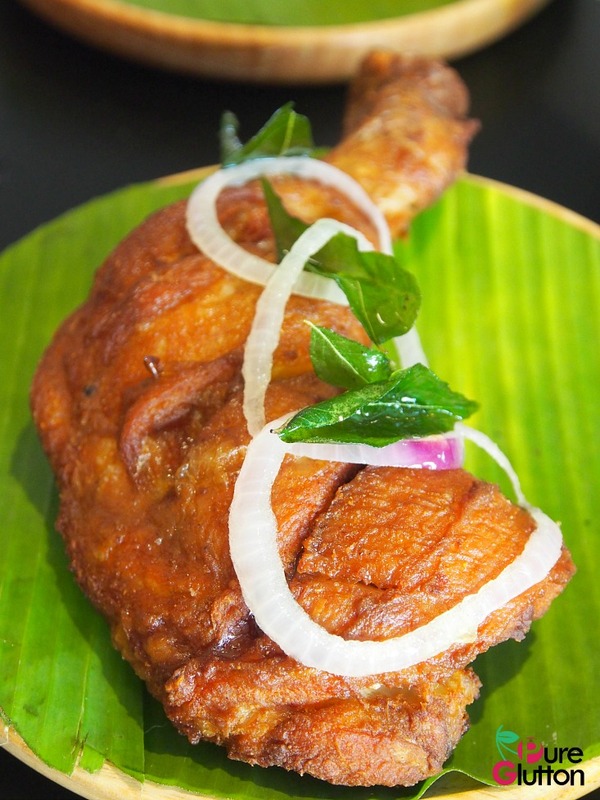 Service can be a bit erratic, especially during peak hours but food was generally pretty good. No salt nothing and not even spicy 🌶! And my companion with me ordered Chilli Chicken rice and she ended up getting all bones as well. Mango lassi was full with ice and no taste as well. the food is really bad. Plus, they do not understand what the customer wants, my companion wanted syrup pandan selasih without ice, but cold , and amazingly she received it with ice. We was quit hungry , so we finish it all, we had no choice . This is Ridiculous! The cook and the helpers needs massive training and proper hiring. I’m so sorry you had such a bad experience. I really hope the management takes heed of this and improve.